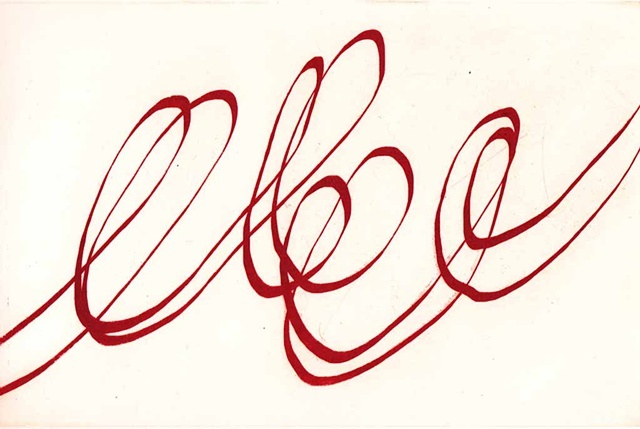 In my grade school, we began to learn cursive writing by repetitively making large loops with big, fat No. 2 pencils. This print echoes that early writing experience.